After a harsh winter depressed the housing sector during the first quarter, UBS is predicting that sales will rise along with the temperature. Maury Harris, the bank's chief U.S. economist, said he expects the housing market to pick up significantly as demand that was bottled up during the winter begins to be released. There is evidence that this is already happening. 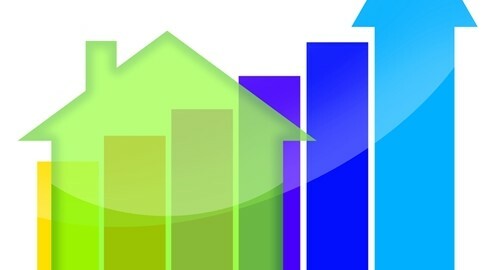 The Weekly Mortgage Applications Survey administered by the Mortgage Bankers Association (MBA) has shown steady growth in weekly application totals during April, while the latest National Housing Trend Data from Realtor.com indicates that buyers have a growing inventory of houses to browse. According to the report, the number of residential properties on the market in March — about 1.8 million — was nearly 10 percent higher than the same month last year, while the average number of days homes had been on the market increased by more than 20 percent to 102 days. These are positive signs for buyers, who faced an extremely tight inventory in 2013. However, CNBC's Diana Olick notes that there is one obstacle that could create problems for prospective buyers: rising prices. While increasing home values have been seen as a sign of a recovering market, the cost of homeownership can become prohibitive after a certain point, which could put a damper on sales. This is especially concerning in an economic environment where many Americans are still struggling to find full-time employment. For lenders that offer mortgage programs, the rising cost of residential properties translates into an increase in the amount of risk they are facing with each transaction. Loan management software can help institutional lenders ensure that they are managing risk appropriately.